But There Are Millions of Permutations! 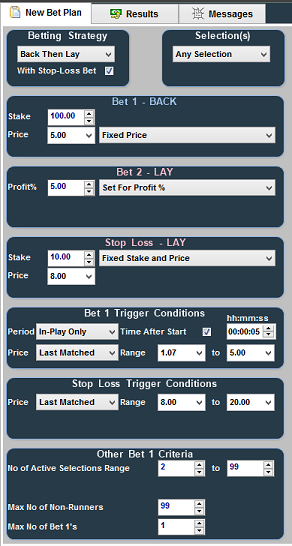 An example of backing any selection that meets the criteria set in the Bet 1 trigger conditions. The 2nd bet 2 is set to 5% profit once bet 1 has matched. There is also a stop loss which triggers of the stop conditions are met ie the odds drift out to 8 or above.